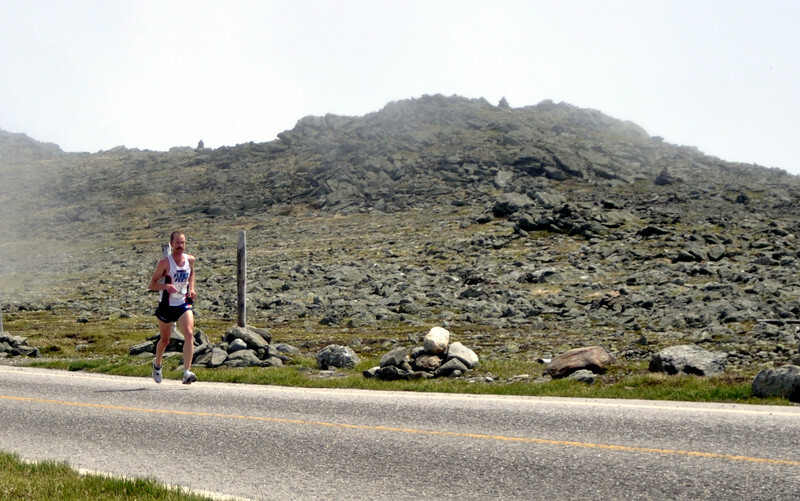 Held on June 20th, 2009, an international field of runners raced 7.6 miles up the Mt.Washington Auto Road. Rickey Gates, of Boulder, Colorado, shown above timberline alone and in the lead, during the 49th Mt. Washington Road Race. Mr Gates went on to win in a time of 59:58, in the race to the top of New Hampshire's tallest peak, held June 20th, 2009.